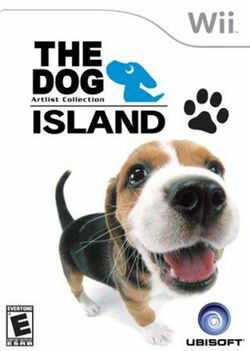 The Dog Island (THE DOG ISLAND ひとつの花の物語, The Dog Island: Hitotsuno no Hana no Monogatari?, The Dog Island: The Story of one Flower) is an adventure game targeted at younger kids and is based on THE DOG, the range of products picturing dogs with large heads. The Dog Island is set in an open world, with non-linear gameplay. The game includes light RPG elements such as character customization through clothing accessories and plot development choices. There are 48 breeds of dog to choose from as well as individual coloring, depending on breed. The story follows a young dog on a journey to save his or her younger sibling from a debilitating and incurable sickness. The cure, if it exists, will be found on The Dog Island. The hero must explore the large island and become a Sniff Master in order to locate the Legendary Flower, which may be the key to saving the puppy's brother or sister. This page was last edited on 10 July 2017, at 10:36.